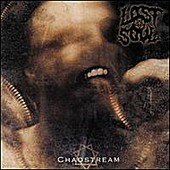 Polish death metal troupe Lost Soul may not be reinventing the wheel on Chaostream, but the quartet sure are getting the most mileage possible by displaying some dazzling death metal chops. "Godstate" takes the evil of Cryptopsy and throws in some Meshuggah-esque time signature madness in for good measure, while the foreboding dirge "Christian Meat" features the maximum amount of sludge allowed by a death metal band, churning out a six-minute epic. Technically sound and unmistakably devastating, Chaostream is a veritable addition to your death metal collection, fitting in somewhere between Zyklon and fellow countrymen Vader.